Welcome to a new week here on DDoA! I hope you enjoyed last week’s LiTREEture feature. It made me think of how finite human life is, and brief as well. Often times, a tree can outlive a human. So what do we do in our lifetime? We work, eat, play and sleep..Yes, we sleep, and we sleep a LOT! Can you guess how much of your lifetime is spent sleeping? 1/3. Read more on ASK So I thought, hmmm… if we do a lot of sleeping, then we might as well do it right…hahahahah! Thus, the inpiration behind this week’s series on “Sleeping Beauties”. 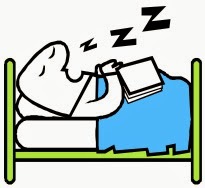 I bring you myths and facts about sleep from the National Sleep Foundation of America. They mention ten, thus I will present them to you a couple at a time. And everyday I will also feature a ‘sleeping beauty’ work of art. Sleep Myth No.1 Snoring is a common problem, especially among men, but it isn’t harmful. Sleep Truth No.1 Although snoring may be harmless for most people, it can be a symptom of a life threatening sleep disorder called sleep apnea, especially if it is accompanied by severe daytime sleepiness. Sleep apnea is characterized by pauses in breathing that prevent air from flowing into or out of a sleeping person’s airways. People with sleep apnea awaken frequently during the night gasping for breath. The breathing pauses reduce blood oxygen levels, can strain the heart and cardiovascular system, and increase the risk of cardiovascular disease. Snoring on a frequent or regular basis has been directly associated with hypertension. Obesity and a large neck can contribute to sleep apnea. Sleep apnea can be treated; men and women who snore loudly, especially if pauses in the snoring are noted, should consult a physician. Sleep Myth No.2 You can “cheat” on the amount of sleep you get. Sleep Truth No.2 Sleep experts say most adults need between seven and nine hours of sleep each night for optimum performance, health and safety. When we don’t get adequate sleep, we accumulate a sleep debt that can be difficult to “pay back” if it becomes too big. The resulting sleep deprivation has been linked to health problems such as obesity and high blood pressure, negative mood and behavior, decreased productivity, and safety issues in the home, on the job, and on the road. 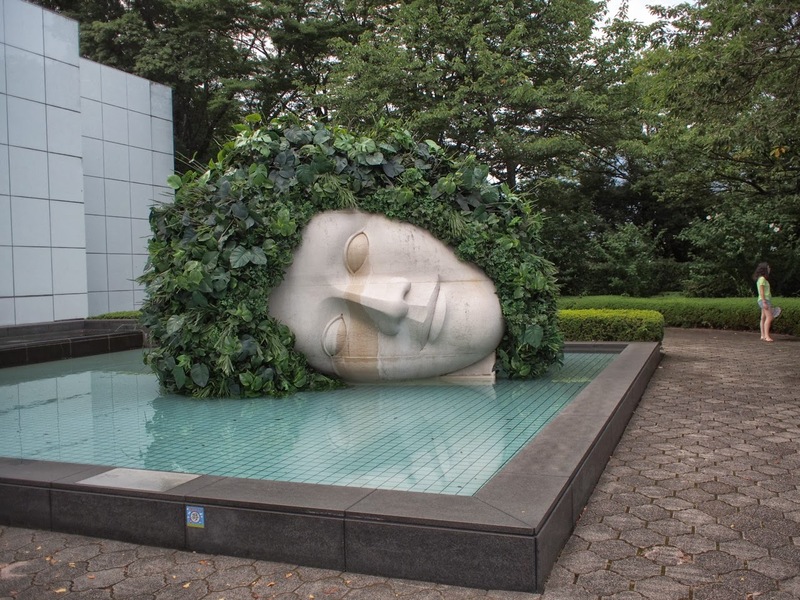 The first sculpture I am sharing with you is the smiling and sleeping La Pleureuse figure with leaves adorning its head which I saw at the Hakone Open Air Museum. It was created using trani stone by French sculptors couple, Claude and Francois-Xavier Lalanne in 1986. I like the contrast of the cold marble and the living green foliage. These elements somehow capture what sleep is — it is a time of surrender (forget your cares of the day and surrender to a period of peace) and a time of healing (your body’s opportunity to repair and rejuvenate itself). 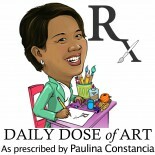 This entry was posted on October 14, 2013 by Paulina Constancia in Care, Create and tagged healthy living, sculpture, travel.